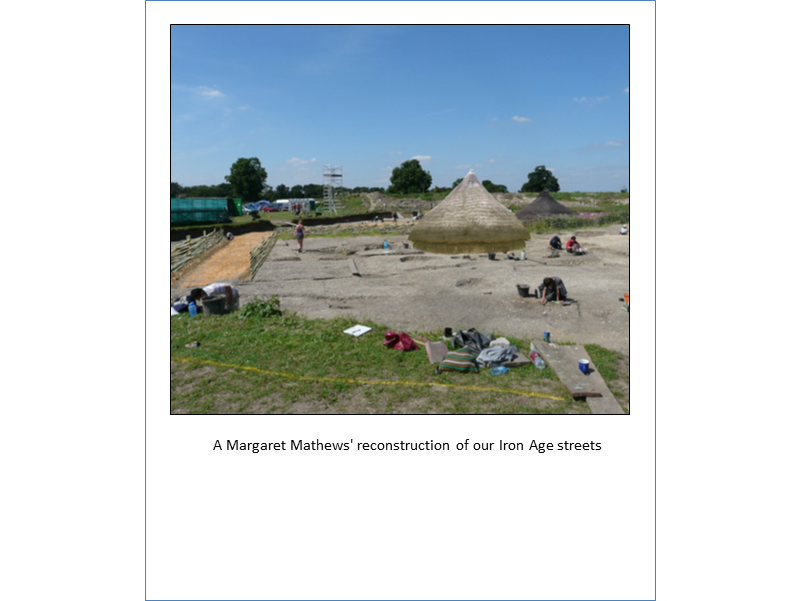 It is almost impossible to condense 18 years of excavation into a pithy sentence or two….and one day I will write the book of the dig (and change the names of course). But ever since that final Final day on site this summer, people have been asking me about my best memories of a fantastic, exhilarating, and at times frankly exhausting, journey back through archaeological time. 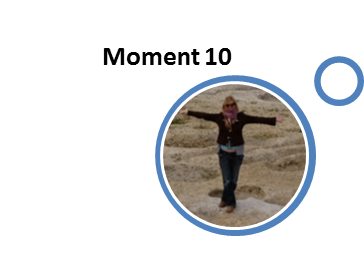 So, as it seems a popular thing to do at the moment, here are my Top Ten Silchester Field School memories….. Beginnings I have to say this! 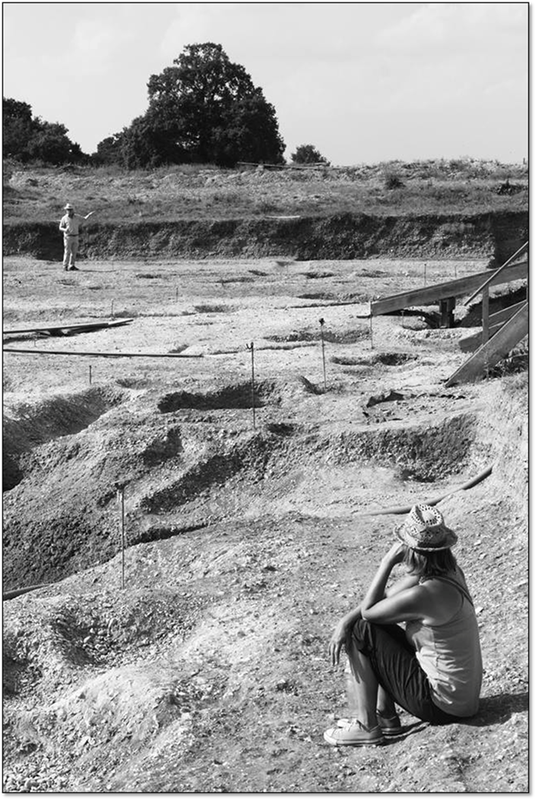 But, obviously, that moment in August 1997: the 55m by 55m excavation trench in Insula IX had been stripped of turf and topsoil by machine, the campsite was established a little way down the drove way outside the West’s barn, the first cohort of archaeology undergraduates had been introduced to field archaeology, and the very first glimpses of the late Roman town and the Victorian trenches dug in 1893 had been revealed. There was ONE moment when I looked around me and realised the scale of the journey Professor Michael Fulford and myself were about to embark on. 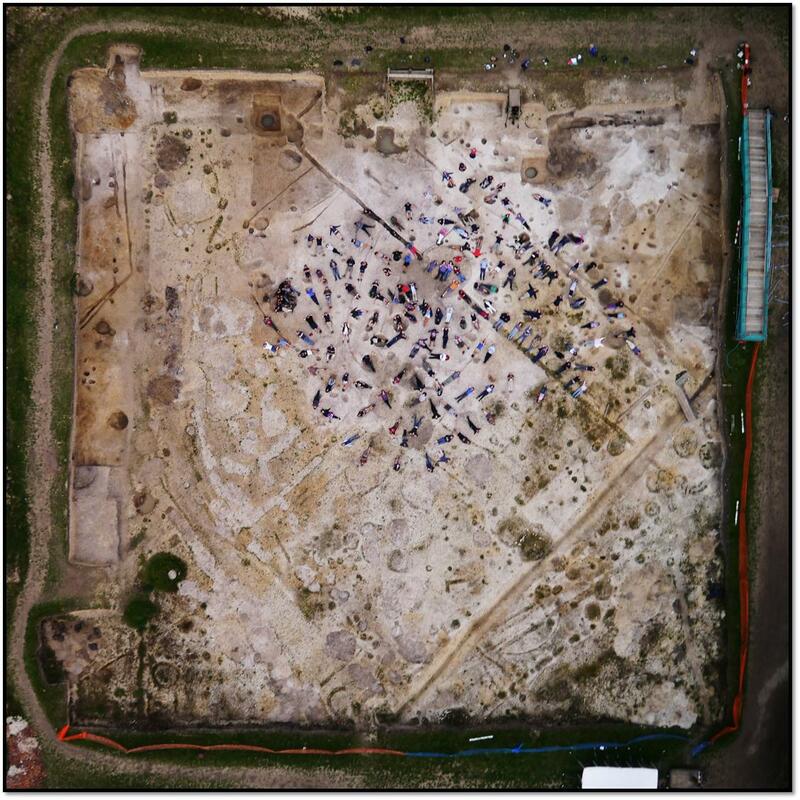 This was without a doubt one of the largest areas of excavation in the UK at the time, set within a fantastically preserved and relatively little explored Roman town….with the additional task of teaching field archaeology to the University of Reading’s Archaeology undergraduates! 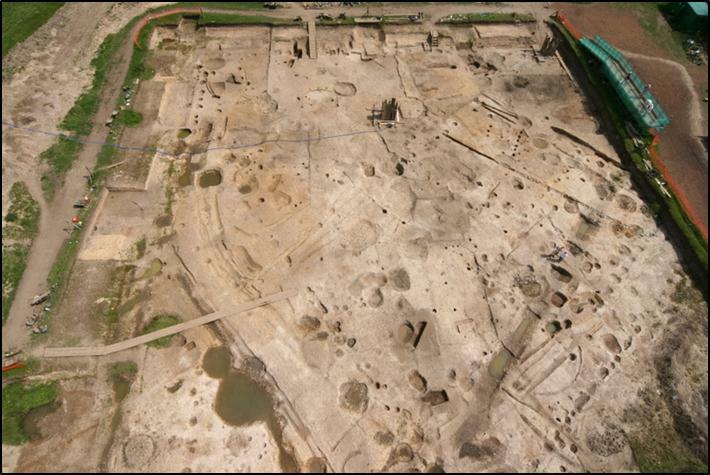 It is fair to say however that at THAT moment in August 1997, neither Mike nor I were expecting to still be working on Insula IX 18 years later…our Scheduled Monument consent granted by English Heritage to work within the Roman town was for 3 years only…. 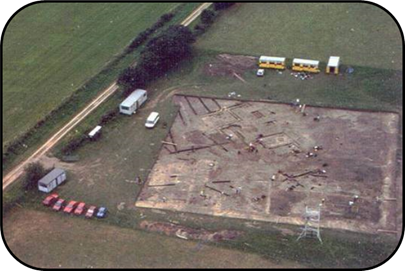 The Silchester Field School August 1997: One season complete and only 17 to go! Weather Warnings This ‘moment’ is a little bit of a cheat….because of course it encompasses all 18 seasons of work. 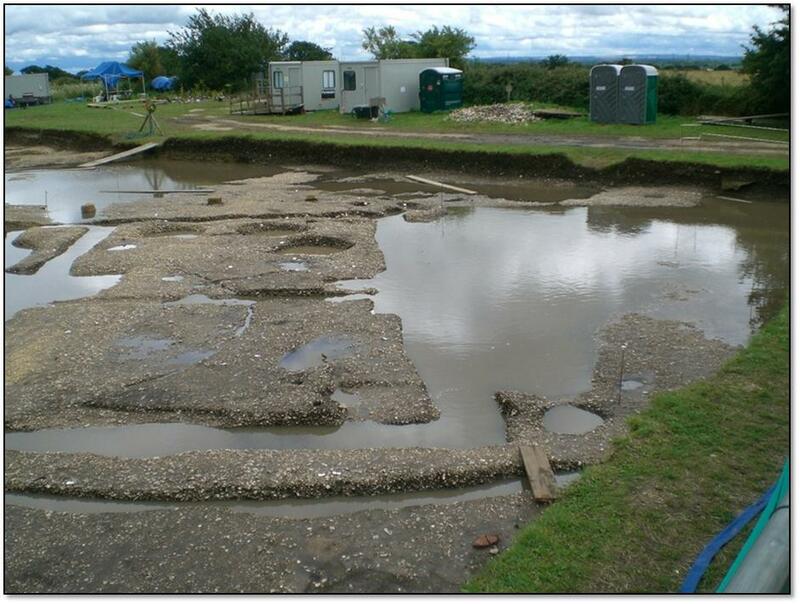 But…..the Silchester weather sticks very large in my memory! How many times have I said that the Roman Town and environs has its very own weather system? Our little bubble of excavation often experienced completely different weather from Reading….or even Mortimer just 3 miles down the road! 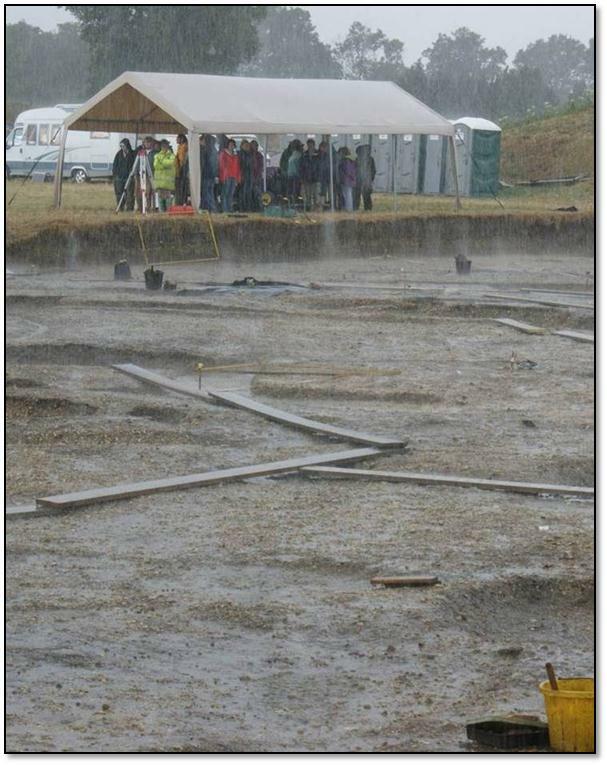 In my introductory briefings to the students I always say expect the unexpected, and never underestimate the British weather and the power of the Silchester weather god! Many undergraduate tents have suffered in the grip of Jupiter’s thunderbolt; I particular remember one tent being lifted clean over our boundary fence and into a farmer’s field beyond the Roman Town wall. The farmer returned it to its owner on the back of a tractor – with belongings still intact inside….That was also the summer that I watched a line of portaloos tumble one by one, domino style, as the wind swept through. Luckily they were all empty at the time…And! Who remembers the great rainstorm of 2007? 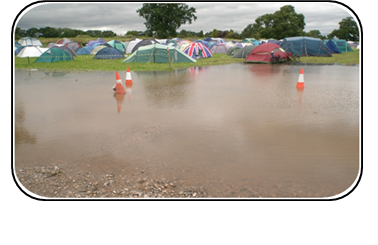 20th July 2007: it was our day off and that phone call is still etched in my memory…’don’t worry Amanda, the site is underwater, the roads are underwater….but don’t worry!’ As if I would! And how about the barbecue summer of 2009? 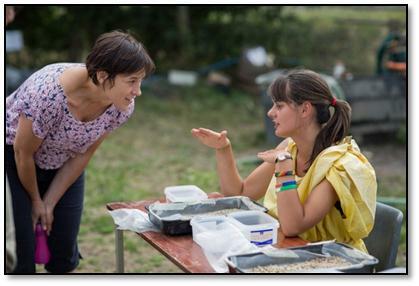 The Tipping Point One particular season stands out: it was the year that we had excellent recruitment into the Archaeology department and nearly 80 1st year undergraduates arrived on site at Silchester to be trained in field archaeology! People talk about the ‘tipping point’ …and this was ours. I started that season with a huge amount of trepidation. 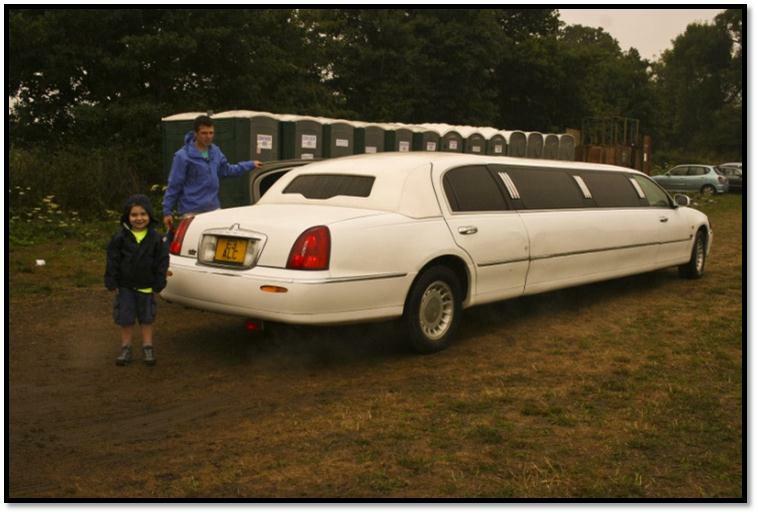 Would the fragile infrastructure continue to work…how many more portaloos would we need…..I had to draft in members of the department staff to help collect the new arrivals as we could not fit everyone into one minibus. Food provision was, at times, a little challenging – but, to be honest we often found food provision challenging (who remembers the ‘Jim Year’)!? 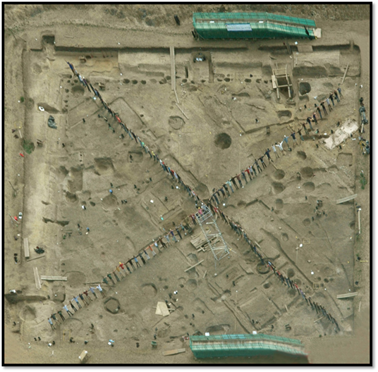 However, conversely, this huge influx of people led to a strategy change and a spurt in archaeological progress, which led to our discovery of the Iron Age lanes and the exciting confirmation of the Iron Age alignment and layout of the underlying 1st century BC town. Say Cheese An excavation like this is full of amazing and startling photographic opportunities! 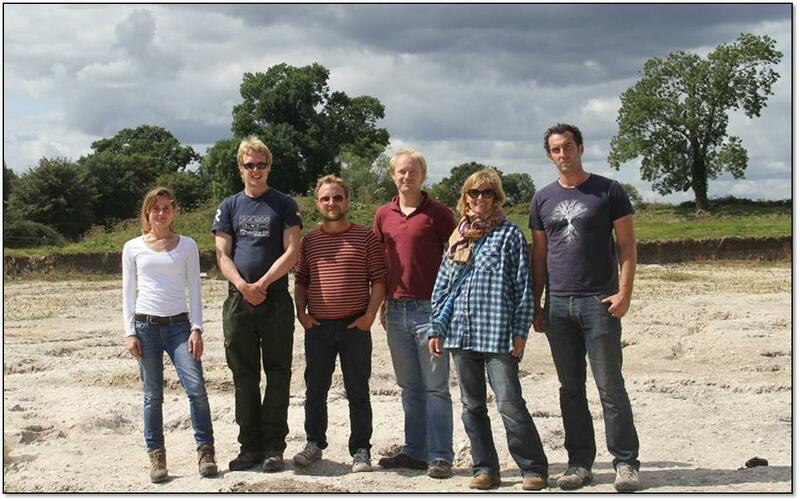 For example, how did we mark 10 years of the Silchester Insula IX project? Well, it seemed like a daft idea at the time….why don’t we all all stand in the trench in the shape of the Roman numeral X whilst our friendly ‘plane overflies us? I don’t believe in the word ‘can’t’ so I put Dan in charge of organising this from the top of the photo tower, in the centre of the site with a megaphone. It was a wonderfully cohesive moment. Fancy Dressing One thing we did exceptionally well as a project was to fancy dress up! 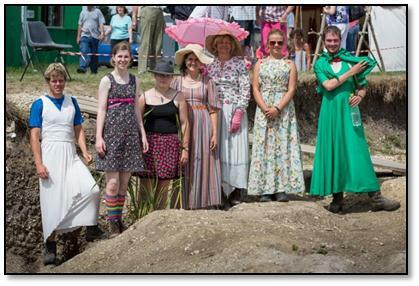 Any excuse – a birthday, an Open Day, a site event, a party…..you name it, we dressed up! 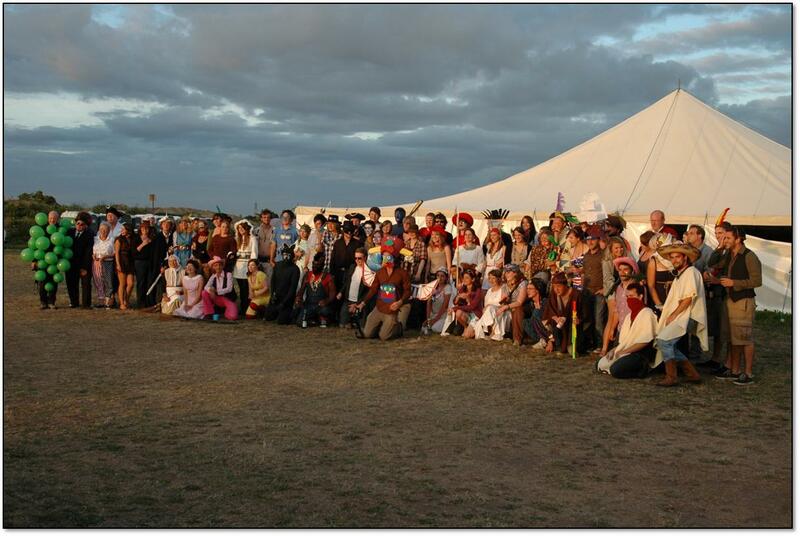 Our End of Season parties were legendary, and on a variety of themes. 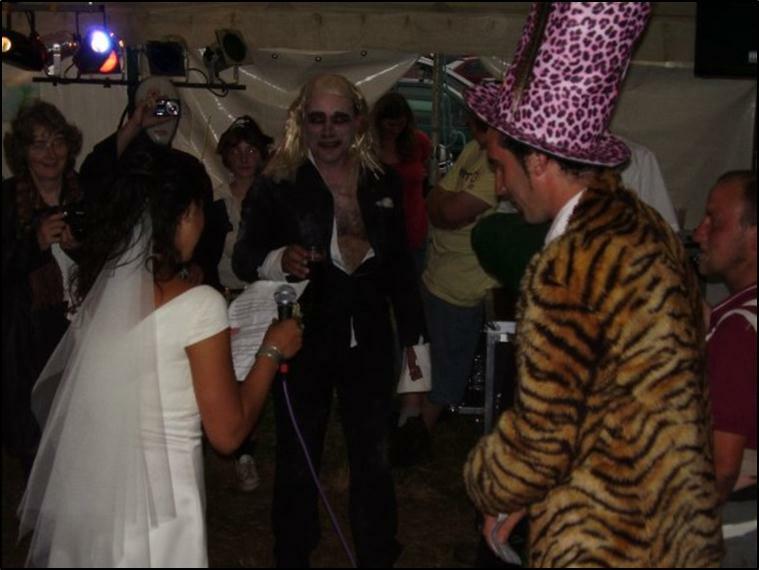 If our students worked as hard on site as they did off it, designing and producing such an amazing array of costumes, well, 100% would have been a common module mark….And who remembers Dan and Cassandra’s ‘wedding’ with the Rev. Jon Tierney officiating? And don’t forget that Mike and I have now been granted the freedom of the Silchester Village by the villagers themselves! I have yet to drive my sheep across Silchester Common, or request that I be driven home from the Calleva Arms in a taxi after one too many Sauvignon Blancs….but that time, I am sure, will come! 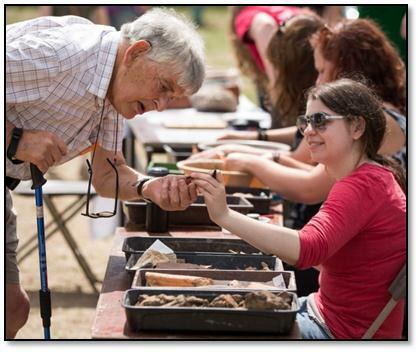 Wonderful Things Archaeology is all about the thrill of discovery….it is why we kneel day in day out in a muddy, gravelly, uncomfortable excavation trench, risking life and limb through all weathers! You never know what you will find when you roll out of bed each and every fieldwork morning. 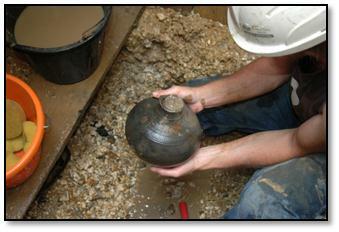 And although we may not have quite emulated Howard Carter’s exclamation on seeing into Tutankhamun’s burial chamber for the first time, 18 years of work on one of Britain’s largest and best preserved Roman and Iron Age towns has brought with it some fabulous discoveries…..from whole pots buried at the bottom of pits and wells (who remembers the 4 Iron Age pots found at the base of ‘Trapper’s’ well? 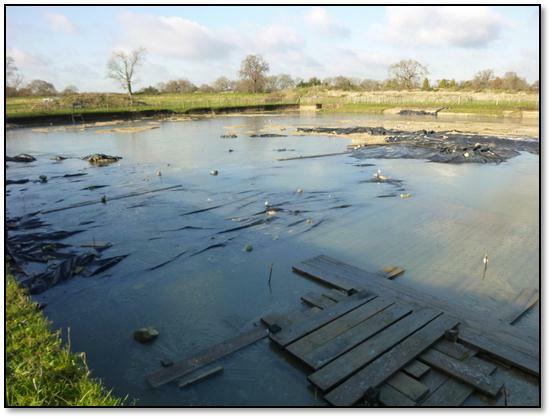 ); the discovery of a partially preserved wooden barrel at the base of a mid-Roman well; a wooden writing tablet! So many unexpected treasures found at the bases of our deep features. 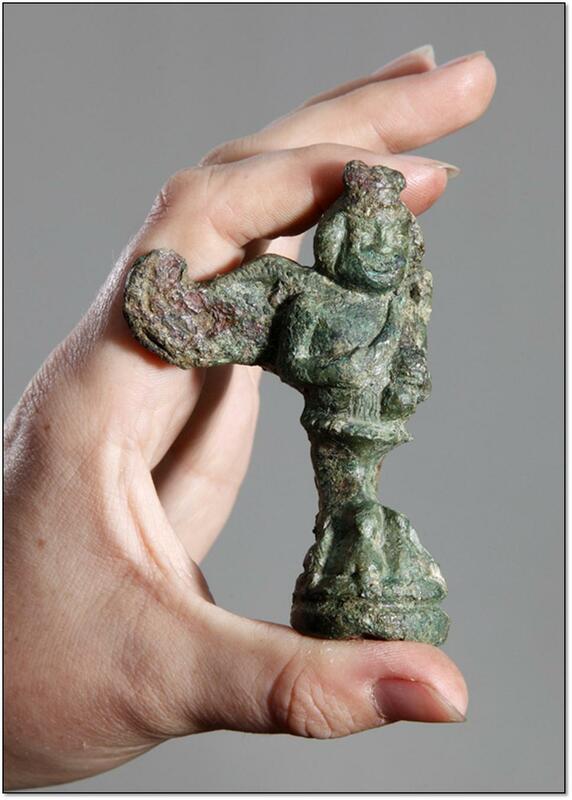 In total we found 86 complete pots in Insula IX! 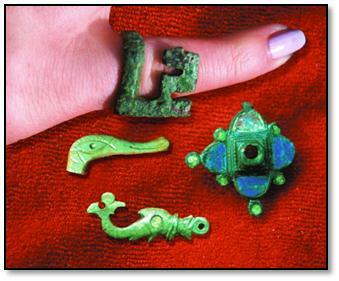 So many interesting, quirky, beautiful, and intriguing objects which are currently being conserved and studied – for example, 614 brooches (or bits of brooches) and 764 coins….just think how much knowledge each of those special finds gives us about the Iron Age and Roman inhabitants of Insula IX. Olive branches One of my strongest memories is not really a moment at all….but a dawning series of moments recognising the value of applied science to archaeology, and how it can open up our world of archaeological discovery and provide us with hitherto unknown detail about past lives. Reading the stories in the floors through micromorphology; uncovering the nature of our hearths through x-ray diffraction techniques; sieving for details of lives lived…..the discovery of a single olive stone in an Iron Age well in Insula IX setting in motion a whole new story of 1st century BC lives; pollen and seeds filling in those tantalising gaps of exactly what the town once looked like. 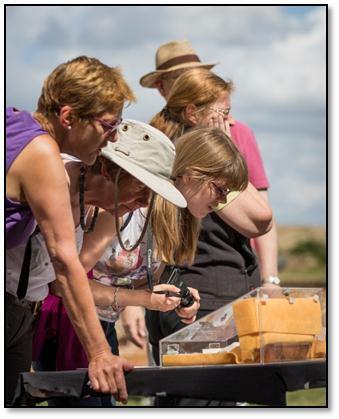 There are a whole slew of moments relating to the passion and interest of our visitors! 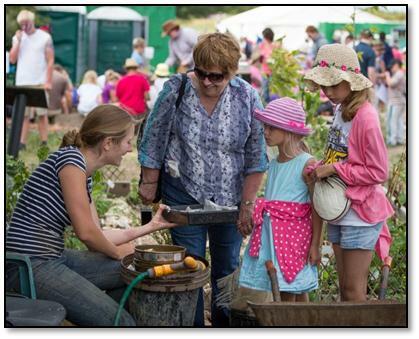 Difficult at first to comprehend the level of excitement and interest in what we were uncovering year in and year out….but it was shown to us time and time again through support at our 2 Open Days every summer – how the crowds poured in, even in our wettest, muddiest summer of 2013! And not just any old visitors! Celebrity visitors! 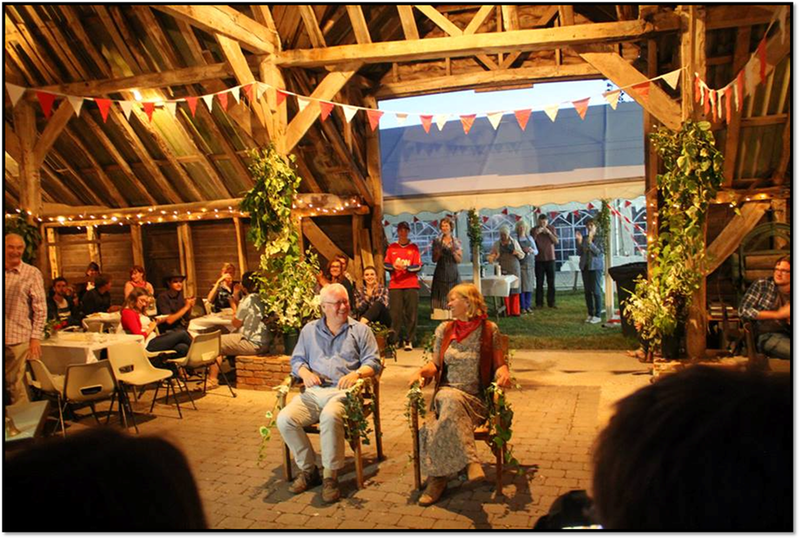 Who remembers the buzz when Alex Kingston appeared on site…..but never Jeremy Irons (he was invited)! Our FaceBook ‘likes’ and our Twitter Feed reflected the popularity of our project – and even my Blog caught a few readers! 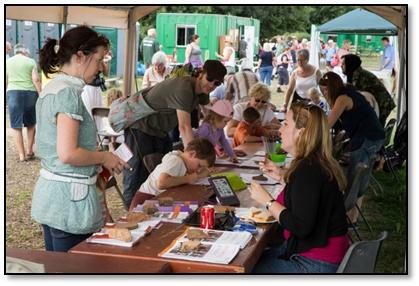 We had nearly 1500 visitors to our final Open Day on site in August 2014 – our greatest number ever. 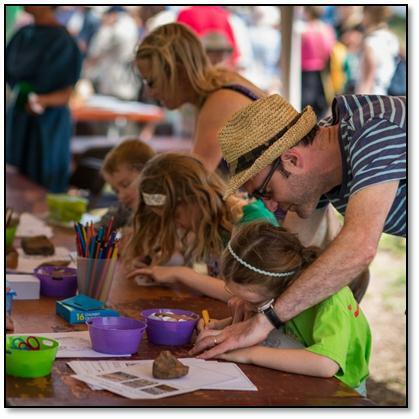 Archaeology has the power to capture the imagination of a populace and I am proud that the Silchester Field School has played a small part in this. 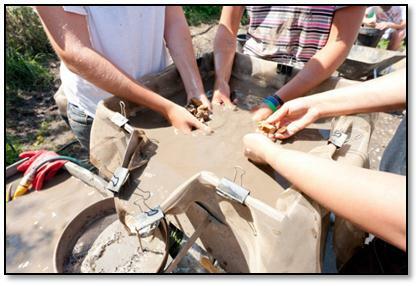 Shared Experiences Once you have been on an excavation, you will never look back. It will be – quite simply – one of the very best experiences of your life. Friends made on site are friends made for life. 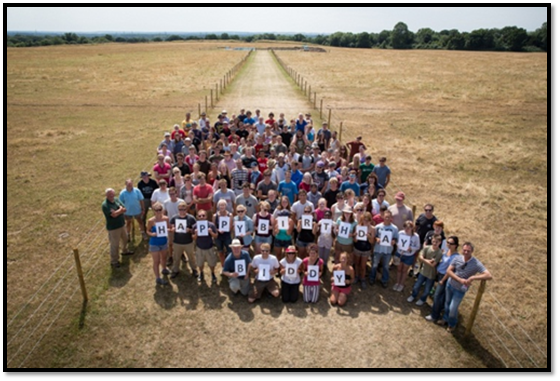 Silchester has created a network …..a web extension of friendships all over the globe, consisting of thousands of participants who first met in a field in Hampshire. These networks will endure long after Mike and I are memories in textbooks and the Roman town sleeps beneath generations of cows’ feet! Silchester has seen weddings, births, and, sadly, some deaths too. 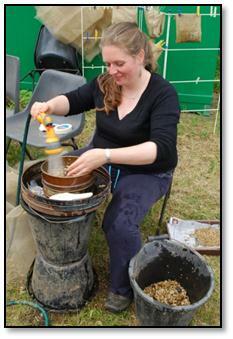 I won’t say that I remember each and every person who has ever dug at Silchester Insula IX (I do try!) 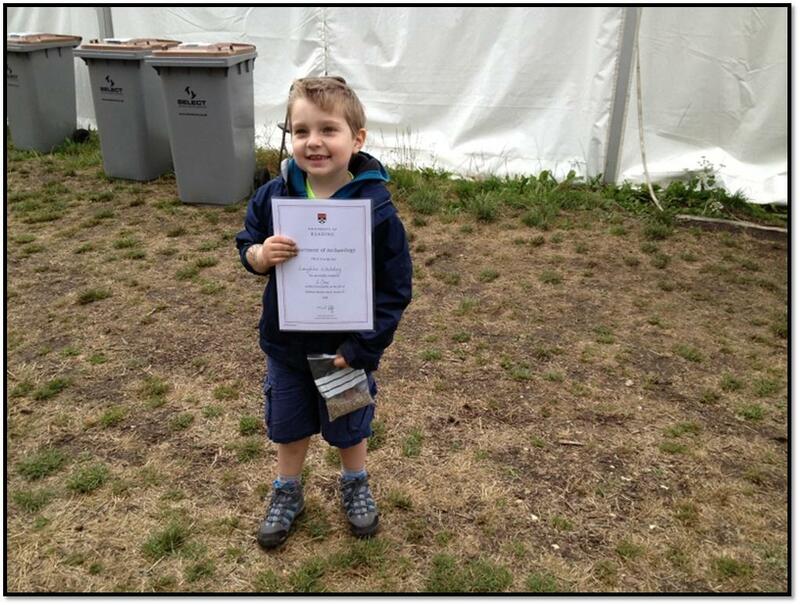 – but my very best moment has to be every time a graduate says ‘I owe it to Silchester’. 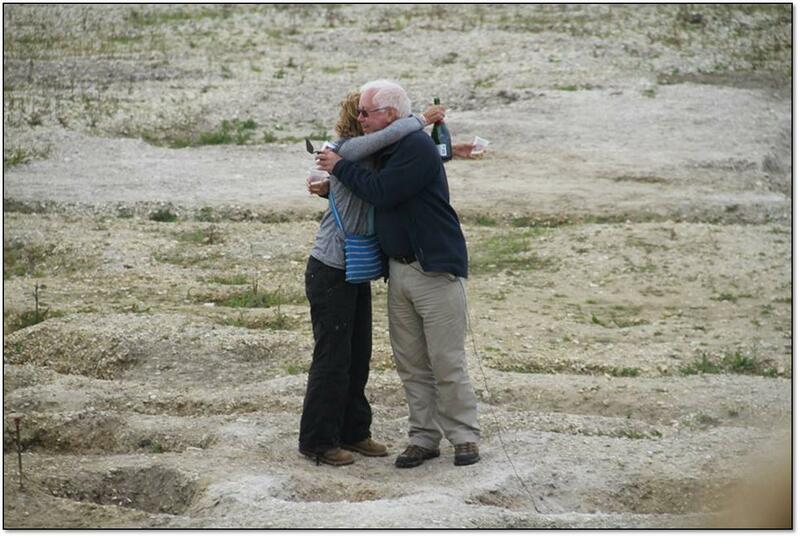 Endings And if I have to pick one champagne moment – it is the very end I will pick; that final day on site. Not because I was glad it was over (some tiny relief maybe!) but because that final Final site tour summed it all up for me: crowds of watching and listening staff and students – some new that year, some who had been back 2 or 3 times, some just about to head off into employment and leave us behind; some people who had been with us since the start (Jean the cook! ), or nearly the start (the Saga Louts!) – a critical mass of archaeologists; the archaeology of Insula IX and III revealed in all its final glory. As we stood and listened to Mike summing up 18 years of dedication, the summer sun sent golden rays over us all and lit the swallows who were already swooping low over the trench and returning to our excavated pits and postholes. 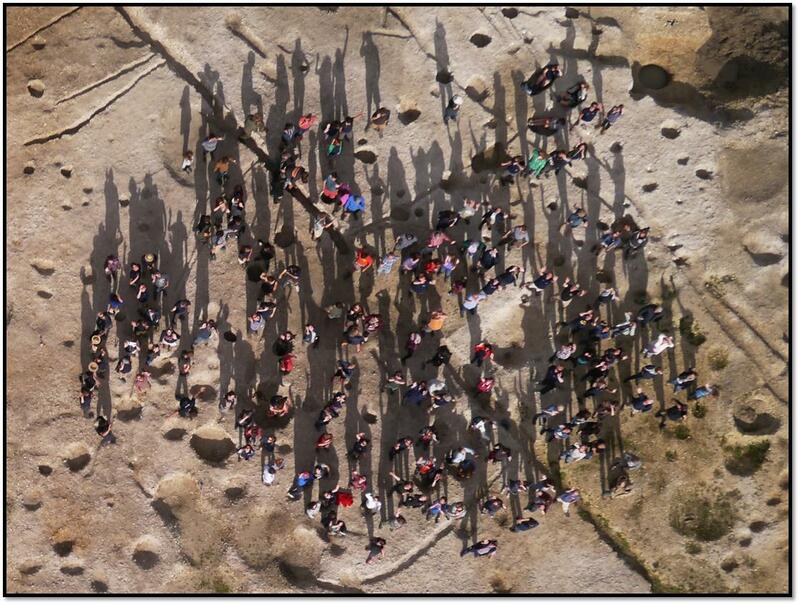 Around us the walls of the town threw shadows in late summer relief and a drone overhead took our final photographs. It was a magic, silent moment of emotion shared by us all. And then Mike cried. That for me sums up the power of this wonderful project – how far we have come, how very much we achieved, in so many different ways. And we have left a legacy which will echo down the centuries to come. 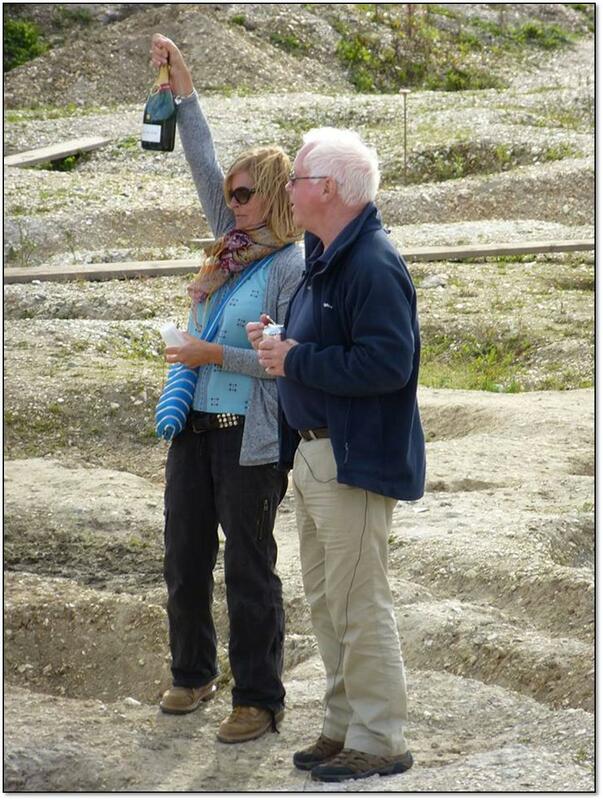 So Mike and I cracked open Matt Williams’ (Silchester Supervisor and latterly Time Team star!) 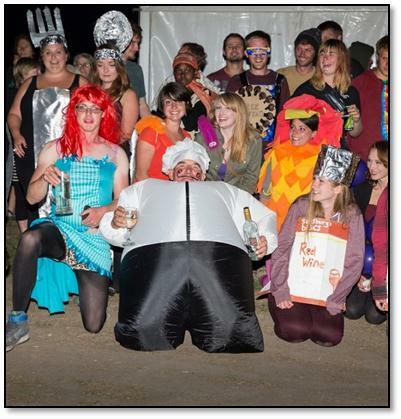 bottle of Bollinger, sobbed our hearts out, laid down in a circle for the overhead photograph – and then we all did what we always do at Silchester – we went and put on a fancy dress costume and danced that final night away. Insula IX gone but never forgotten.